VMware PowerCLI 6.5’s release introduced a lot of new cmdlets and improvements to existing cmdlets. One of my favorite improved cmdlets has to be Move-VM. Move-VM was already a very versatile cmdlet before this new release. It could be used to move a VM between hosts, datastores, resource pools, clusters, to new folders, to a vApp, and so forth. Now, with PowerCLI 6.5 R1, Move-VM can move VMs between vCenters! We can even take that a step further, Move-VM can move VMs to vCenters which are not linked together by SSO domain. That’s something that cannot be done by the web client! Let’s start by taking a look at the newest addition to the cmdlet, migrating VMs between vCenters. Cross vCenter vMotion was introduced with vSphere 6.0. It’s proved to be a great feature that opens up new options in flexibly managing a vSphere environment. One of the limitations in using cross vCenter vMotion by way of the Web Client is that it can’t migrate VMs between SSO domains. This is where the usage of PowerCLI is hugely beneficial because PowerCLI allows users to fill that gap. The key to PowerCLI being able to overcome that limitation is due to its ability to connect to multiple vCenter servers at the same time. Due to the cross vCenter vMotion functionality being added in as part of vSphere 6.0, it can only be performed against vCenter servers of 6.0 and newer. If you look at the example code above, specifically at the network pieces, you’ll notice that it only focuses on moving a VM with a single NIC. However, both the NetworkAdapter and PortGroup parameters accept arrays. This means that you can pass multiple objects to those parameters. One key thing to note is that the first item in each array will be referenced together, then the second items will be referenced together, and so on and so forth. If there are multiple network adapters and only one portgroup specified, the network adapters will all be assigned to the same portgroup. If there is only a single network adapter and multiple portgroups specified, the command will error out. The above examples are just the tip of showing just how versatile the Move-VM cmdlet really is. Let us know how you’re using Move-VM in your environment in the comments below! For more information on its use in your environment, see the PowerCLI cmdlet reference on Move-VM. This entry was posted in General and tagged PowerCLI, PowerShell, VMware on January 4, 2017 by Kyle Ruddy. Before diving in on all the new features, it’s worth noting that these features are all created based on feedback taken directly from the users. 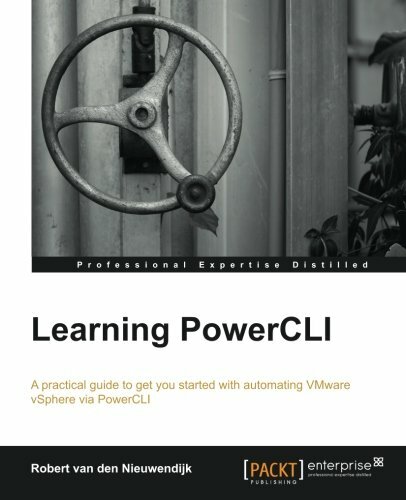 Please help us make the product better by letting us know what would make PowerCLI easier to use and what would make your automation tasks less painful! The PowerCLI Product Manager, Development Team and I, would like to extend a huge Thank You to the community for their great feedback and consistent drive to enhance the product. The Storage module is compatible with vSAN 6.0 and newer, as well as Site Recovery Manager 6.1 and newer! Last, the Horizon module is compatible with Horizon 7.0.2. This entry was posted in General and tagged PowerCLI, VMware on November 17, 2016 by Kyle Ruddy. It is my pleasure to inform you that vSphere PowerCLI 6.3 Release 1 has now been released and as usual we have some great features to ensure you are able to automate even more features and in this release, faster than ever! As always we take feature requests directly from customers, through feedback at conferences, by looking at the communities and multiple other ways. please do keep giving us your feedback to enable us to keep making the product easier and making automation tasks less painful. The Get-VM Cmdlet has been optimized and refactored to ensure maximum speed when returning larger numbers of virtual machine information. This was a request which we heard time and time again, when you start working in larger environments with thousands of VMs the most used cmdlet is Get-VM so making this faster means this will increase the speed of reporting and automation for all scripts using Get-VM. Stay tuned for a future post where we will be showing some figures from our test environment but believe me, its fast! 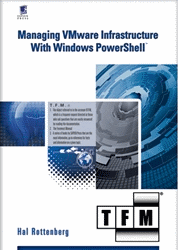 This entry was posted in General and tagged PowerCLI, VMware on March 16, 2016 by Alan Renouf.